Today, in honor of National Puppy Day, we’ve suggested a weekend itinerary for you and your pup to enjoy. Experience the below activities during your next family visit to the Pocono Mountains; four-legged family members included. Check out our Snapchat story below in celebration of our furry friends. Morning: Enjoy the breathtaking scenery of the Pocono Mountains. Explore horseback riding with your K-9 at Daisy Field Farm while taking in the scenery. Visit Jim Thorpe and take a ride on the Lehigh Gorge Scenic Railway while appreciating the landscape with your best friend. Afternoon: Leash your pup up for a historical tour. Take a walk across the oldest existing wire suspension bridge in the United States during a Roebling Aqueduct Bridge tour. Opening in May, you can tour The Calder House museum along the Delaware River at the Equinunk Historical Society & Museum. Evening: Ruff it! Reconnect with your dog, and nature, while camping. Enjoy the 28-acre wooded property at Jim Thorpe Camping Resort, or build a campfire at Don Laine Campground. Not a fan of tents? Babbling Brook Cottages and Harrington House can also accommodate your furry family members. Morning: Take a hike! 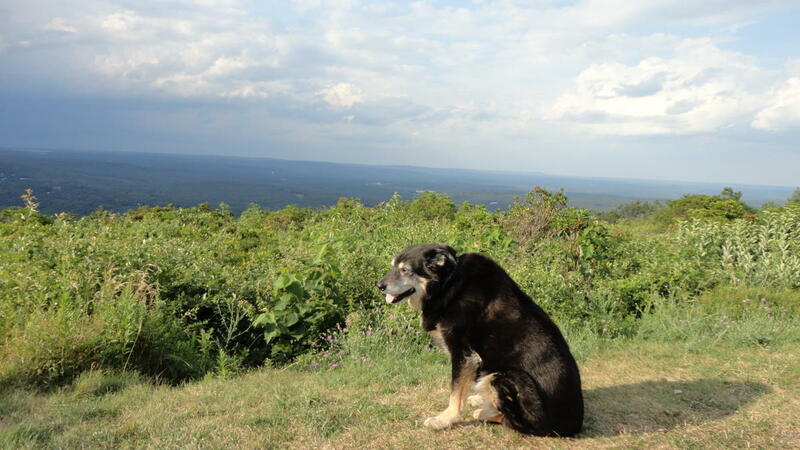 With an abundance of national, state, and local parks, your dog will surely love the fresh air. Explore the trails at Promised Land State Park, or see a waterfall at Bushkill Falls. Visit the Pocono Environmental Education Center and take a hike along one of the six trails. Afternoon: Grab a bite to eat with your pooch! The Lounge welcomes pets on the deck Sunday through Thursday. Starting in May, you can even take your dog to the Monroe Farmers Market, located in Downtown Stroudsburg. With a wide variety of foods from fresh produce to meats, you may even find a few treats for your pet! Evening: Put your paws up, and relax. 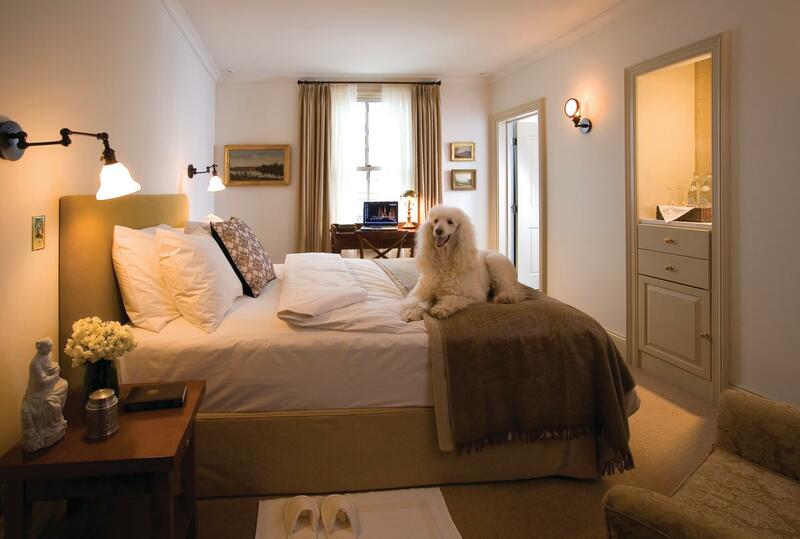 Book a room at the Wayne Inn with your pup. The Ledges Hotel and Hotel Fauchere accommodate pets, too! With so many choices across the Pocono Mountains, be sure to mention your fur baby when reserving a room. Morning: Interested in pampering your pup? Take them to Country Junction – World’s Largest General Store. Here your pet can relax at the Pet Parlor. Don’t forget to shop! Dunkelberger’s Sports Outfitter welcomes leashed pets. You can also bring your dog to Country Kettle. Afternoon: Head out on the river. 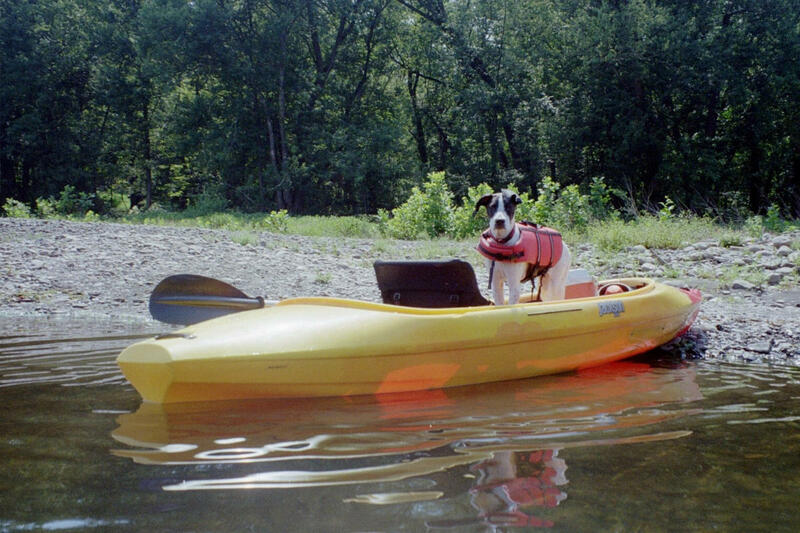 Gear up with Adventure Sports, Chamberlain Canoes, and Edge of the Woods Outfitters and enjoy a leisurely canoe or kayak ride down the river while your pet works on their own doggie paddle. Evening: Lap it up! Go wine tasting with your furry friend. Visit Sorrenti Cherry Valley Vineyards to sample wines of the region. Just give a friendly call-ahead before bringing your pet. You can even grab a bite to-go at the on-site Pizzeria before leaving. Be sure to contact properties for guidelines and restrictions. Visit our pet-friendly vacations page to plan your spring getaway today! Happy National Puppy Day from the Pocono Mountains! Check out our Snapchat story below in celebration of our furry friends.